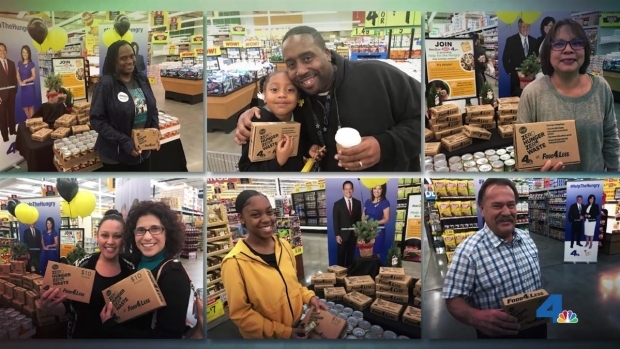 NBC4 teamed up with Ralphs and Food 4 Less store for the “Help 4 the Hungry” food donation drive from November 19 to December 24. 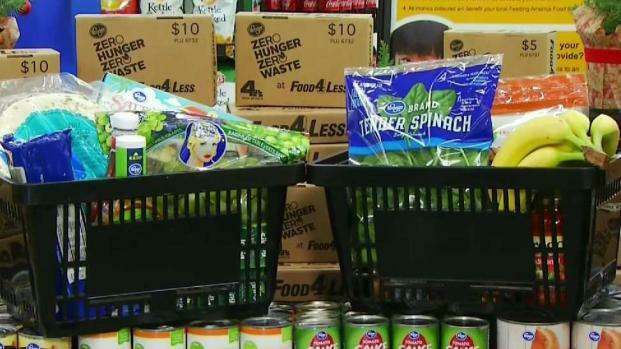 NBC4, Food 4 Less and Ralph's have raised more than $300,000 to help feed the hungry this holiday season. On November 20-21, November 26-30 and December 7, 14 and 21, NBC4 was be live throughout the day starting with Today in LA at Ralphs and Food4Less stores. The public was invited to visit and make a donation at the register, have a free cup of coffee with us, and meet NBC4 anchors and reporters. See schedule below. To learn more, visit www.nbcla.com/helpthehungry. When it comes to helping families in need, small donations can make a huge difference. That’s why NBC4 has partnered with Ralphs and Food 4 Less to #HelpTheHungry. Toni Guinyard reports for the NBC4 News at 11 on Wednesday, Nov. 28, 2018. To find a store near you, visit Ralphs.com and Food4Less.com.